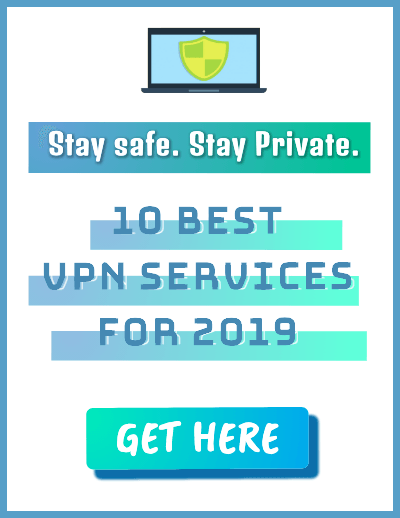 People who have spent a lot of money to curate their music collection are always in search of a best and free music player software for their PC. That’s because these audio player apps allow audiophiles to listen to their favorite songs whenever they want and help them organize their library in a better manner. When we talk about Windows 10, there are many free mp3 software available for 2019. However, many old-school music players are out of the picture. If you can recall, I am talking about the long gone free music manager software went by the name Winamp. On the other hand, Microsoft’s home-baked software, Windows Media Player has been replaced by newer music apps. Although, the former default mp3 music player for Windows still exists as a free optional feature in Windows 10. The realm of free music apps for PC might be fading away with time, but still, there are many people who consider local solutions over their internet-based audio streaming counterparts. So, wasting any more time, let’s see 2019’s some best free music player software for Windows 10. Note: We have curated the list of some of the apps for Windows 10 and older versions. Please note that the names aren’t mentioned in any order of preference. After the speedy installation process of Dopamine completes, what you get to look and feel is enough to put it amongst other best and free music player apps. The open source Windows Media player alternative appears to be a Microsoft-made UWP app, contrary to the fact that it isn’t, and it not available in the Store either. The things users would like about this popular music app for Windows is the easy to navigate interface, not to mention, the fluidity. All the options and settings are placed in a way that users don’t need to strain their eyes to find them. There are a number of customizations that can be done to improve Dopamine’s interface. Dopamine supports a vast number of audio formats including MP4, WMA, OGG, FLAC, M4A, AAC, WAV, APE, and OPUS. This music playing app might fall behind a little regarding feature set, but users can take advantage of various things like automatic meta tagging, displaying lyrics in real-time, last.fm scrobbling, etc. Some of Dopamine’s features require the users to run Windows 10 on their computer. It is another well-known name in our list of the recommended music player software for Windows. MusicBee is nearly a decade old and works on Windows 7 and later version of Microsoft’s OS. As soon as you start using the music player, you’ll immediately start appreciating its neat and clean user interface which is complemented by the color combination. The creators of this free music player have made it easier for people who want to make a switch. MusicBee can easily import your iTunes and Music library. It comes with support for various audio formats, including MP3, AAC, WMA, WAV, M4A, FLAC, OGG, APE, TAK, etc. This audio player can sync your songs with Android phones, some iOS devices, USB drives, and other portable music players. It can also keep an eye on your hard drive for changes and update the music library automatically. You can customize MusicBee with a number of skins and plugins (also supports some Winamp plugins). MusicBee’s list of features includes support for 15-band equalizer, DSP effects, CD ripping, automatic metadata import, etc. MusicBee and doesn’t consume much space on your hard drive. It can be installed on Windows just like any other software. But the free music player is also available as a portable version. Moreover, a UWP version of the music player is also available in Store. 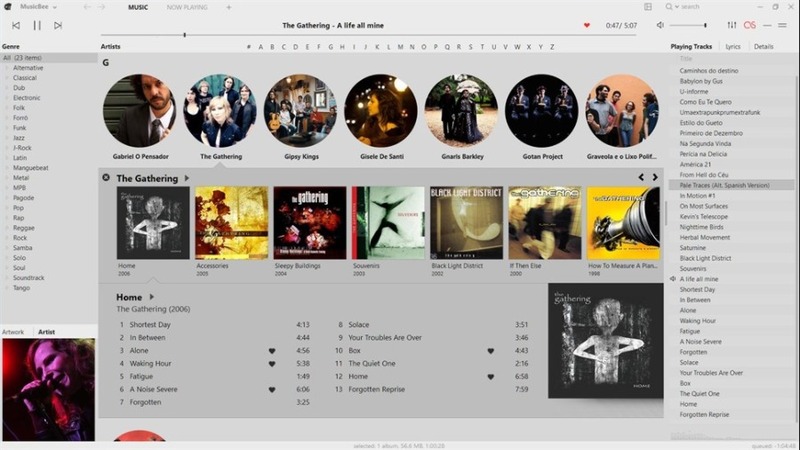 The open source Clementine, fork of another music player known as Amarok, is also one of the best free music players for Windows 10. Clementine might not be as good looking as MusicBee, but it offers some serious library management to its users. 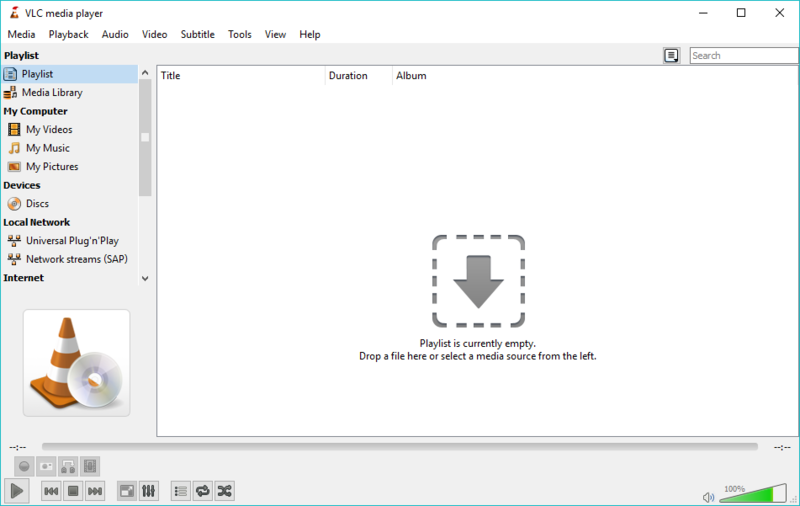 There is a built-in file manager and the music player easily find audio content in lots of online services like SoundCloud, RockRadio, RadioTunes, etc. You can also configure Clementine to access your music stored on cloud drives, including Box, Dropbox, Google Drive, OneDrive, Amazon Cloud Drive, etc. The free music player software comes with all the standard features including equalizer and support for different formats. What’s more is that you can use your Android device as a remote control for Clementine. Since its inception, foobar2000 has generated a cult following. Modular design of this simple music player for Windows makes it easier to add new features and components to the free music player. Foobar2000 desktop app is available for Windows XP and later versions; it also offers portable installation. You can find this music software as a UWP app for Windows 10 and above. Foobar2000 apps are available for Android and iOS as well. In the first look, the interface is more minimalistic than any other audio app for PC out there. 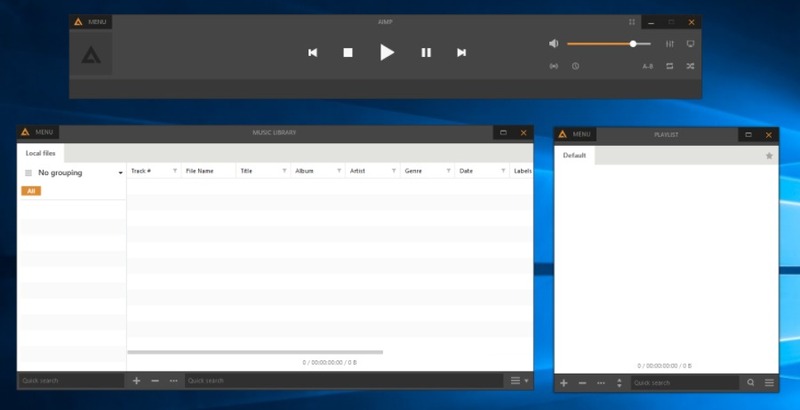 Some users might not like it, because, 2019 is here and people might not want to see a music player that appears to be designed for Windows 98. But as it’s said, don’t judge a book by its cover. FooBar2000 can play a range of audio formats, including MP3, AAC, WMA, OGG, FLAC, WAV, Opus, Speex, etc. It supports automatic meta import, CD ripping, and it can access compressed archives like ZIP, GZIP, 7z, etc. Then come the numerous keyboard shortcuts which you can customize at your will. Hearing about AIMP gives a quick reminder of the great image editing software called GIMP. But this music player for Windows has no ties with GIMP which was developed by the GNU Project. In fact, AIMP, short for Artem Izmaylov, is named after its creator who released the first version in 2006. For those people who consider visual appearance as a deal breaker, AIMP is one of the top-rated music player in that sector. This player can do a lot more than playing songs stored on the hard drive. AIMP provides a good looking interface for organizing your song library, creating custom and smart playlists, rips CDs, manage meta tags, change player skins, etc. If you’re in search of a player for PC with equalizer, AIMP can be a choice worth considering. This is shipped with an 18-band equalizer and a variety of sound effects to listen to the music as you like. A couple of things users would find convenient is the detachable playlist section and the ability to change the theme with a single click. 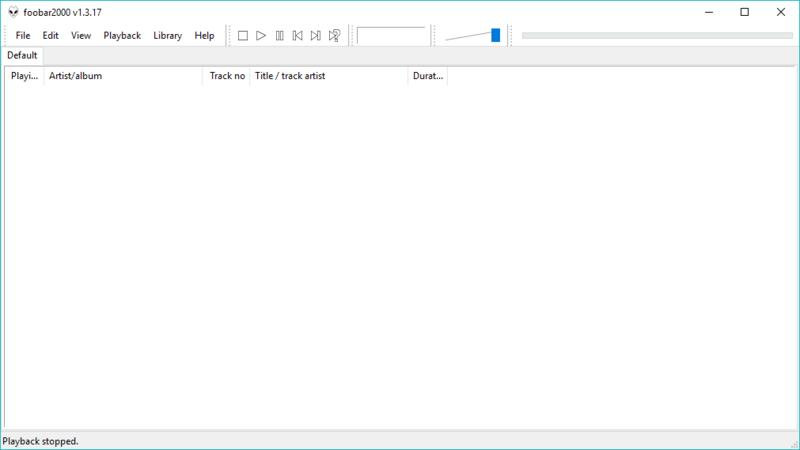 Regarding audio formats, this audio player for Windows supports almost every popular audio format out there. Also, there is a built-in audio converter, sleep timer, and an alarm clock feature which even wakes a PC from sleep mode. Another free music player software that can help you unclutter your messy collection is MediaMonkey. In the first appearance, it looks like a redesigned version of WMP but with way more features. 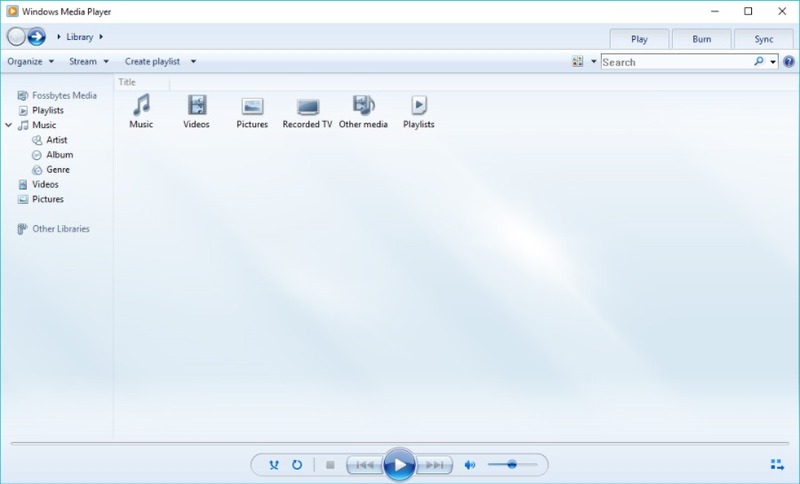 Besides playing numerous audio formats, this Microsoft Windows Media Player alternative can automatically tag audio files, help you sync files with devices, stream audio over your network, rip CDs, burn music to DVDs and CDs, convert audio format, manage volume automatically, and much more. 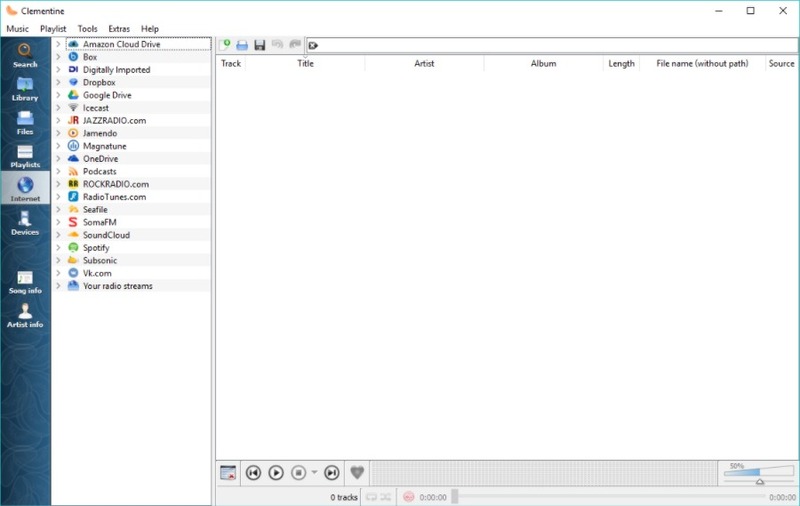 This audio player for Windows has a dedicated jukebox which can help users fuel a party with their own music collection while preventing the library from being modified. MediaMonkey is primarily a music app for Windows, but it’s also available in the form of Android and iOS apps that act as a wireless remote control. 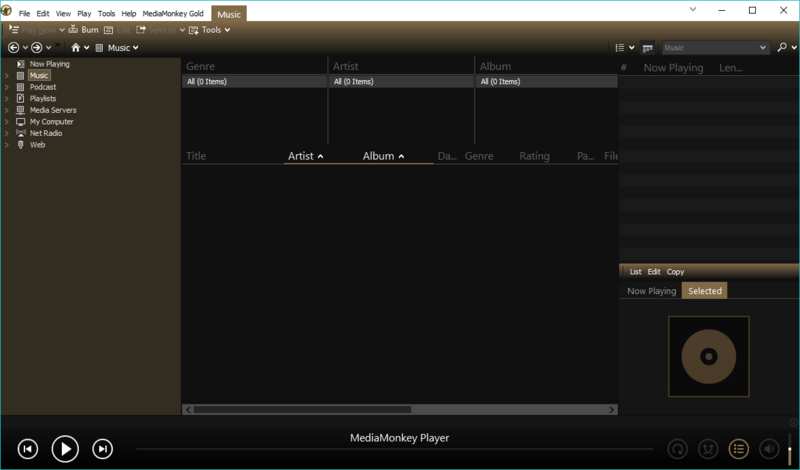 There is a premium version of the free music player called MediaMonkey Gold which a way to get for an extra set of features. VLC already tops the list of the best music software for Windows of 2019, but the open source software has the capabilities to handle people’s music needs. With VLC, users can easily create song playlist out of there local music collection and also stream it over their network. It also houses a number of online radio services which the users can access at their fingertips. The built-in equalizer is complemented by other advanced audio management feature which VLC is already known for. Why people love VLC is because it can play almost every audio and video format that exists. The availability of apps for almost every popular platform makes VLC one of the best free music player software. Supported Platforms: Windows, macOS, Linux, Android, Chrome OS, Apple TV, Windows Phone. Do I need to tell you about iTunes? Probably, the answer would be no. Other than being a bridge between iOS devices and computers, iTunes is also one of the best free music players software for Windows as well. A reason why you can prefer iTunes this single music player can solve different types of music needs but the bulkiness of this music player might compel some users to take a step back. 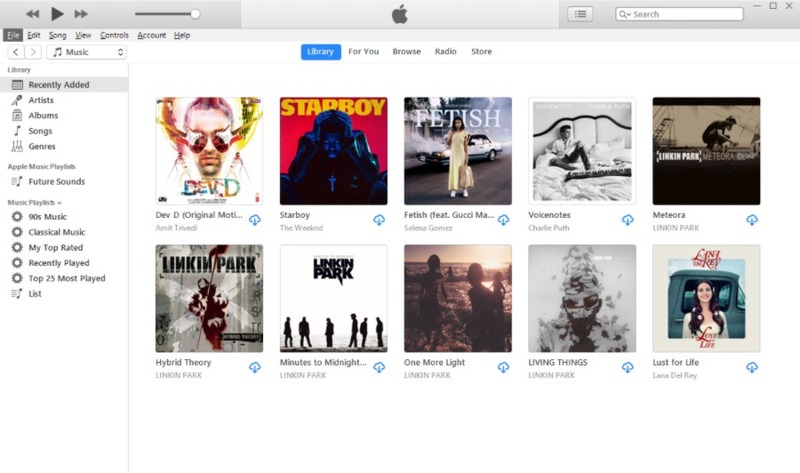 iTunes can play your locally stored music, and it can play the music you bought on the iTunes music store. And if you have subscribed to Apple Music, the free music player triples as an online music streaming app for Windows. iTunes supports popular audio formats, including MP3, WAV, AIFF, Apple Lossless, and AAC. It also provides an easy way to manage your songs in the library. Other than playing songs on your PC, you can also stream them to other devices on your local network using a feature called home sharing. Standard music player features in iTunes include the equalizer, optional compact mode, metadata import, etc. Another advantage that makes iTunes a considerable choice is that Apple backs it. 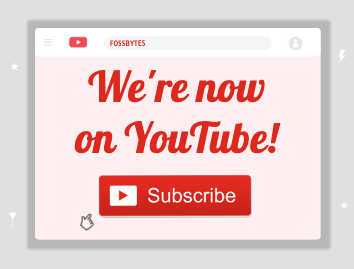 So, updates and new features are added at regular intervals. The simplicity and ease of use offered by WMP still make it one of the best and free audio player software for Windows OS, even on Windows 10. If you don’t like the default look of the player, there are many custom skins for WMP. 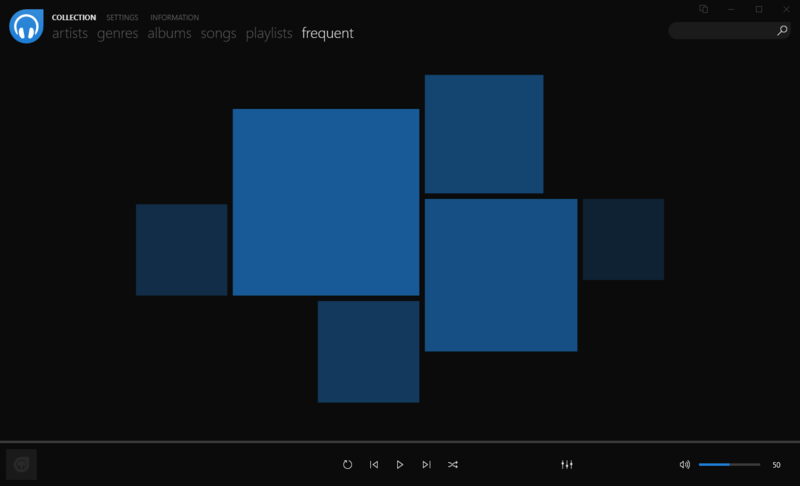 You’ll easily recognize what the music player has become as you would be able to see those visualizations while playing music. WMP has got your back when it comes to playing different audio file formats, and it can also play some video formats and image formats. You can efficiently manage your songs library, create playlists, rip music, burn your music collection, etc. The free music player can also import metadata from the internet. You can sync your music library with different types of portable devices using Windows Media Player. And just like iTunes, WMP also allows you to share your library over your local network. If you are still looking for a Microsoft-owned music player and manager, you can check out the pre-installed Groove music software. The Windows app has recently gained quite a momentum. Many of you use Spotify streaming service on your iOS and Android smartphone. 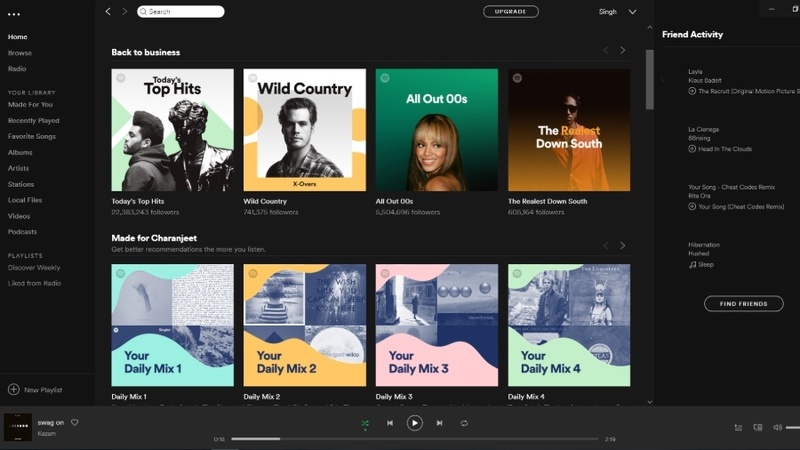 But you might not know about Spotify desktop app that not only bring your vast playlist on your Windows PC but also, allows you to play local content. Similar to its phone apps, Spotify on Windows 10 syncs your account and adds “Friend’s activity” to the right. Moreover, all the features are available on the desktop app. For instance, you can opt for a private session, play offline songs, listen to podcast and more. The best part about having Spotify is that you can steam millions of songs as well as play music saved on Windows PC. Not to mention of the fact that it’s a completely free music software for Windows 10. You can also toggle on the experimental features on the Spotify music app for Windows 10. The only drawback it is more focused on streaming music as compared to other mp3 player apps, which means there are not many functions when it comes to local music. What is the best music player for Windows 10? As you can see, each mp3 player for Windows excels in some parts or the other. It all comes down to the fact which part of media player you like the most. 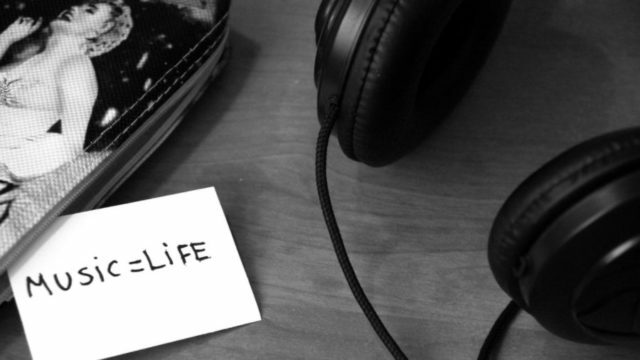 For instance, you can look for a good streaming service in a music player or a good user interface.